Asexual, or vegetative, reproduction in plants does not involve the sexual process by which the male and female reproductive cells of parent plants intermingle their chromosomes to form seeds that grow into new plants. Plants reproduce asexually from roots and stems, from cell tissue that grows from leaves and stalks, and from seeds that grow without fertilization taking place. Examples of asexual plant reproduction are commonplace. Apples, bananas, cherries and raspberries all grow sprouts called “suckers” from spreading underground roots. These grow into new plants; the process is a type of asexual reproduction. Aspen and poplar trees spread in this way; new plants growing from their spreading roots often become groves of trees. Rhizomes and stolons are stems; they are not to be confused with roots. Stems that grow horizontally below the surface are called rhizomes. Roots and stems of new plants grow from nodes on rhizomes; if rhizomes are broken, the sections grow into new plants. Asparagus reproduces through rhizomes, so do ginger and zoysia grass. Stems that grow horizontally on the surface are called stolons. New plants grow from nodes on stolons. The strawberry is a plant that reproduces asexually by growing new plants from spreading stolons. Bulbs are technically rhizomes, but they are sometimes listed separately. Irises and day lilies are examples of plants that grow from bulbs. Bulbs may split or divide into new bulbs, each of which can grow into a new plant. A corm looks like a bulb, but it is not. It is a short, underground stem that plants use to store nutrients. Crocuses and Chinese water chestnuts are plants that grow from corms. While corms die as the nutrients they contain are used up, at the same time they produce smaller corms that can grow into new plants in the following year. A tuber is a thickened part of a rhizome or stolon; tubers often grow into new plants. 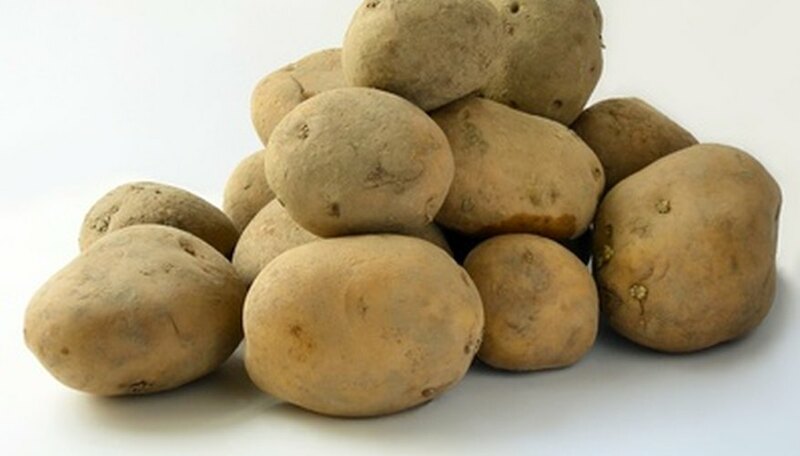 The potato is a thickened part of a stolon that starts above ground but then buries itself underground; new potato plants grow from indentations on potatoes called “eyes." Meristematic cells divide, growing into new plants. In most plants meristemic tissue is located at the tips of roots and the buds. Some plants have meristematic tissue in unexpected places. The houseplant called the maternity plant, or mother of thousands, (Kalanchoe daigremontiana) has notched leaves that are edged with meristematic tissue. As the small plants on the edges of the leaves mature, they drop into the soil and develop roots. The horsetail and bamboo plants both have meristematic nodes along their stalks; these grow into new plants. Tiny plantlets also grow on the edges of the leaves of Bryophyllum, an ornamental plant. Some plants produce seeds by an asexual process called apomixis. The seeds develop and grow without the process of fertilization. The seeds of some types of dandelion are produced by apomixis. Kentucky bluegrass produces seeds in this manner; so do some meadow grasses and blackberries. How Do Green Plants Reproduce? How Does a Gladiolus Reproduce? Can You Grow Plants From Seeds That Have Been Frozen? What Are Some Plants That Make Spores Instead of Seeds?